These cards can be used in various ways. I usually use them as an activity in my 'revision' box. The cards are laminated so children write the correct information on the card using a dry wipe pen. 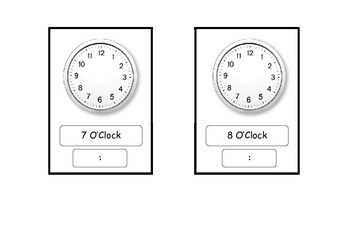 The time is already written in analogue so children are required to draw the hands on the clock and write the correct digital time.